The tawny owl (Strix aluco) is a small, nocturnal owl which lives and breeds throughout England, Wales and Scotland. Naturally a woodland bird, tawny owls are becoming common in any towns and cities that have plenty of trees. 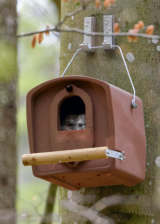 Established breeding pairs will often remain in the same territory for all of their lives and in areas where natural nesting sites are rare, they will use man-made boxes, which also offer a high degree of protection for young. 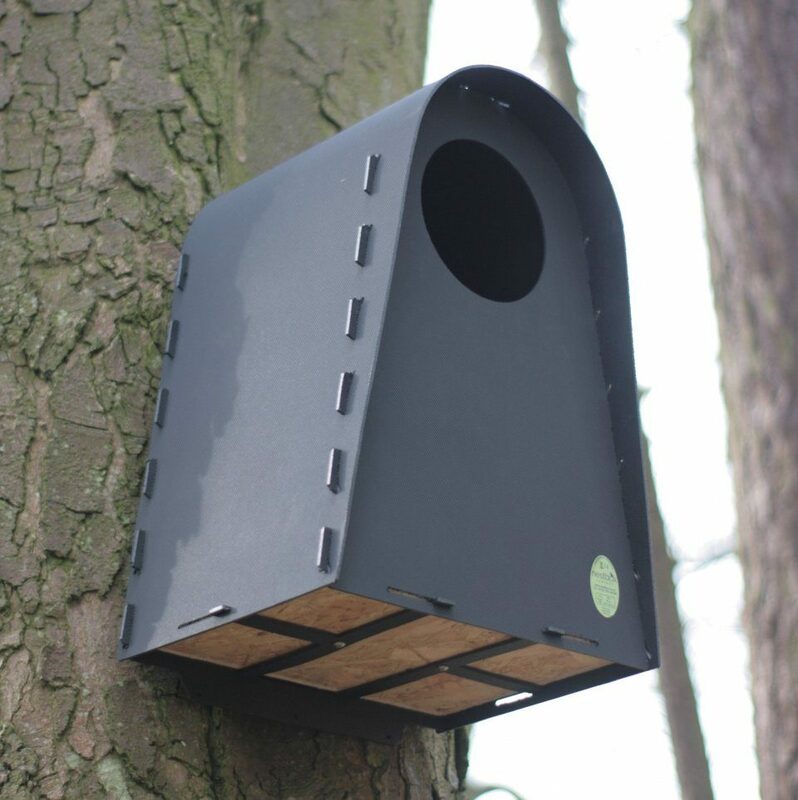 The Eco Tawny Owl Nest Box provides a comfortable box for a pair of tawny owls to raise a brood. 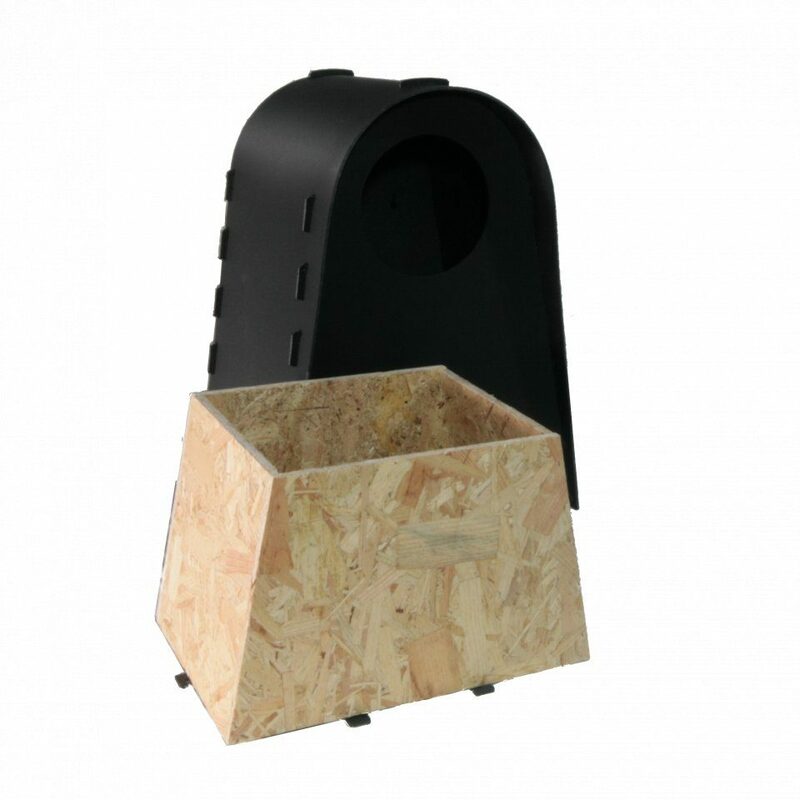 It is constructed from 100% UV stabilised recycled plastic and FSC certified wood. 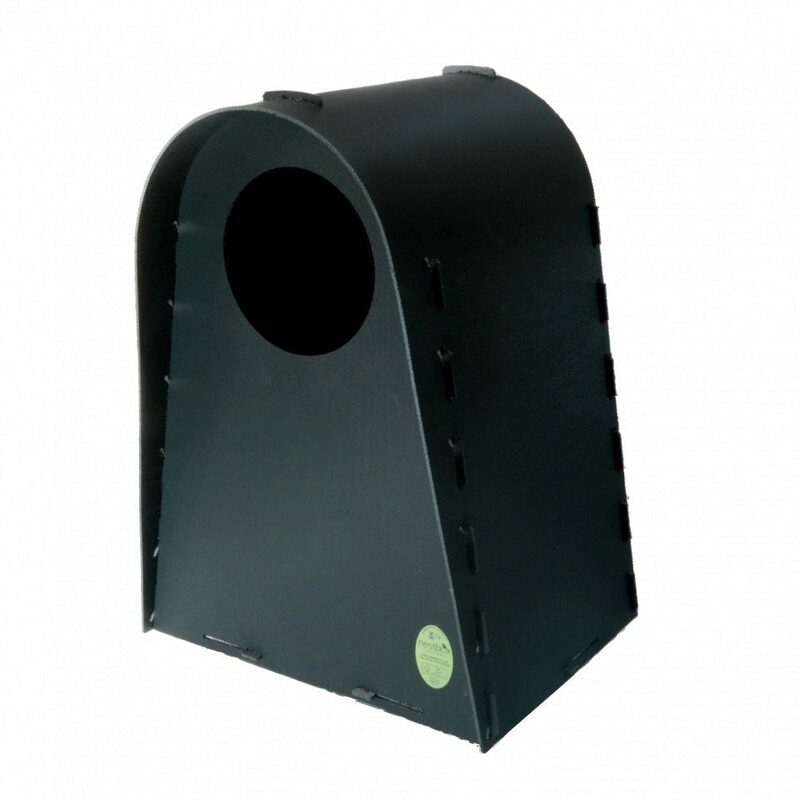 The outer shell is assembled using precision cut plastic tabs, which creates a highly robust and weatherproof box with a life expectancy of over 20 years. 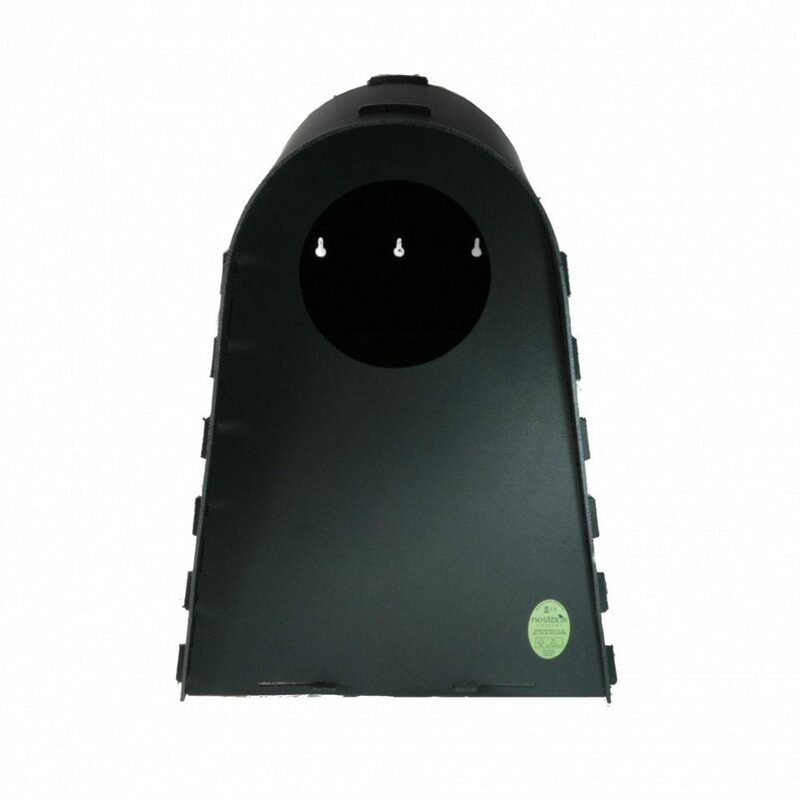 It features an inner wooden nesting chamber constructed with built-in drainage holes for minimal maintenance, and it is easily removed for checking and cleaning. The nesting chamber is constructed from chip-board which absorbs moisture and should be replaced every few years. 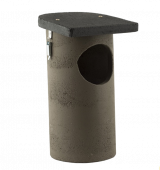 The nest box is secured by screwing through six keyholes that are accessed through the entrance hole and at the base of the box. It should be situated on a large tree at a height of at least 3m and in an area with branches that fledging chicks can use for exercise. Always ensure that the entrance of the box is facing away from the prevailing wind.